Ring bologna sliced thin and fried up with caramelized onions. Pile onto a hoagie bun, pass the ketchup and mustard, grab a beer, turn on the game and enjoy. Jolene of Jolene's Recipe Journal asked us all to come together and share our favorite things to serve up on game day. Frank and I went to the butcher that processed our beef for us earlier in the month. The butcher is located in the little town of Yale, Michigan. It is hardly a speck on the map but it has become famous for it's Bologna Festival each year in July and is known as the Bologna Capitol of the World. So, of course, I needed to pick up a ring of bologna while we were there. This meant that I was perfectly prepared when Jolene asked for football foods. Fried bologna and onions on a hoagie roll is not only delicious but it is the perfect casual, hand held treat to enjoy when crowded around the tv cheering on your favorite team. My husband likes his with ketchup. I prefer mustard...hot mustard if I have it. I served these up with air fried potato chips. I will be sharing that recipe in another post. Melt the butter in a large skillet over med high heat. Add the onions and cook, stirring occasionally. until very soft and golden brown, about 10 minutes. Add the bologna and cook until browned and warmed through. Divide mixture between 4 hoagie buns and serve with ketchup and mustard, if desired. Oh my gosh, what great memories this brings back. I haven't had fried bologna since I was a kid. Need to make these for my guys! It had been a long time for us too Jolene and they were as good as we remembered. I don't think I've ever had ring bologna, but now I want to track some down!! I love a good fried bologna sandwich! Perfect game day food Erin. The caramelized onions cinched this recipe for me!! Yes, the onions are the most important ingredient. While I am not a bologna fan, I could see my dad and brother gobbling this up! They will thank you Heather. I'm a mustard girl too. This sounds amazing. I wish I could get my hands on "ring" balogna! 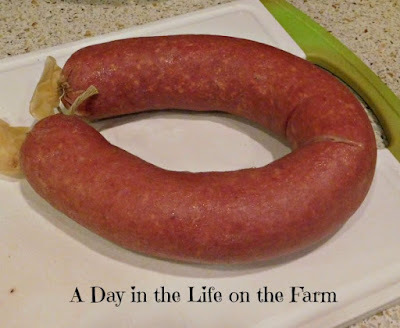 I didn't realize it was a regional ingredient until I wrote this post Karen. We made these as kids and they are so good! It reminds me to put them on the menu soon! Love when recipes bring back good memories. Oh no you didn't!!! My dad would be in absolute heaven with this one!!! A throwback to the good ol' days. Ring bologna is a staple for game day. I never had it fried though. Give it a try Cindy. I think you'll be pleased with the results. 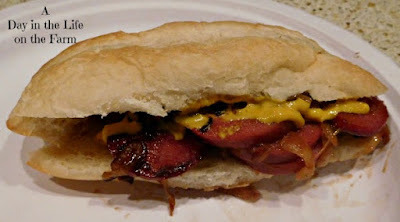 I have never had a fried bologna sandwich before and I have never had any interest in it because I always imagined the plastic-y grocery store bologna! The ring bologna you have actually looks delicious! It is Valentina. More like sausage than what we think of when we think of bologna. 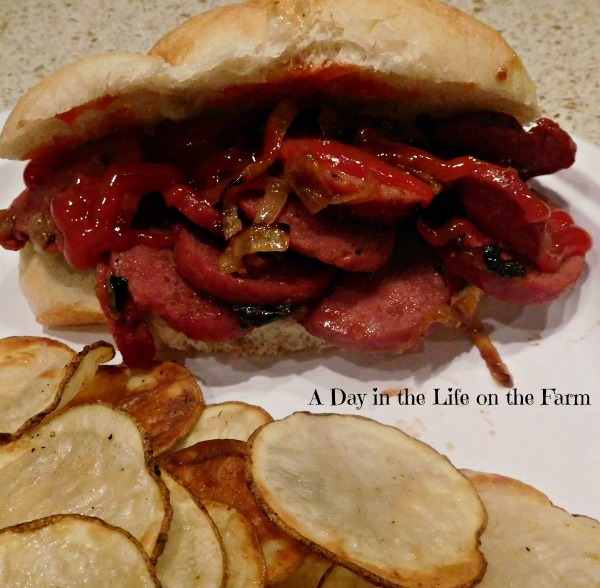 Fried bologna is one of my husband's favorite foods, but I've never known how to make it before. He's going to be so excited! Yay, glad I could help. This takes me back to my childhood! I like mustard too. I think many of us had a trip down memory lane with this recipe Ellen.